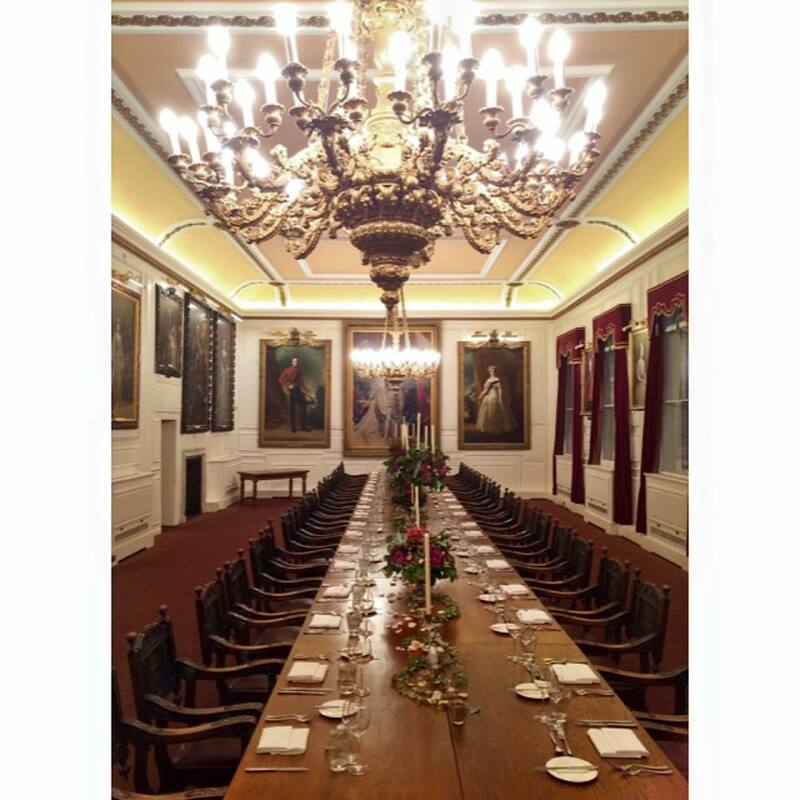 A couple of weeks ago saw the second Westwood Society Dinner held and once again we had the pleasure of designing and catering for the event. Westwood were thrilled to introduce Mike Roddy, their new interim CEO at the dinner, quite the special occasion! The last dinner had a very feminine and bright feel, so we wanted to do something a little different this time around…something a little unexpected. Cue succulents and drift wood! We wanted the feel of the dinner and centrepiece to have a more natural and slightly more masculine feel to proceedings. Gone were the abundance of big blousy florals, in was texture and lighter, more pastel and earthy colours. Lily’s Flowers were the florists extraordinaire once again, who understood our brief perfectly. Driftwood framed the centre of the table, mixed with wooden logs and pots. 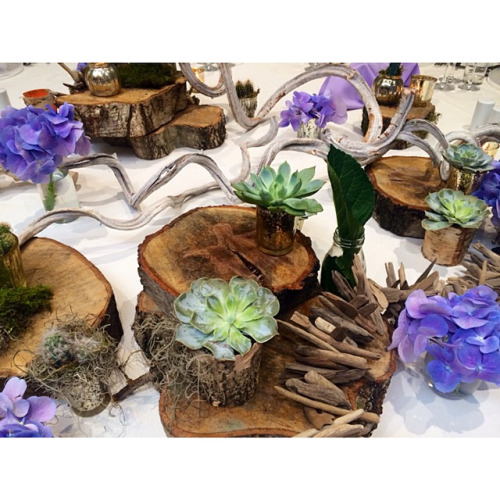 Succulents and Cactus filled the space and added a tougher edge to the centrepiece. Lilac and blue hydrangea softened this and bought in an element of colour, which contrasted and paired beautifully to the earthy green napkins. Mercury glass tea lights and votives added that touch of glam that any Westwood Society Dinner needs! The guests commented how different and wonderful it was…we couldn’t have agreed any more! 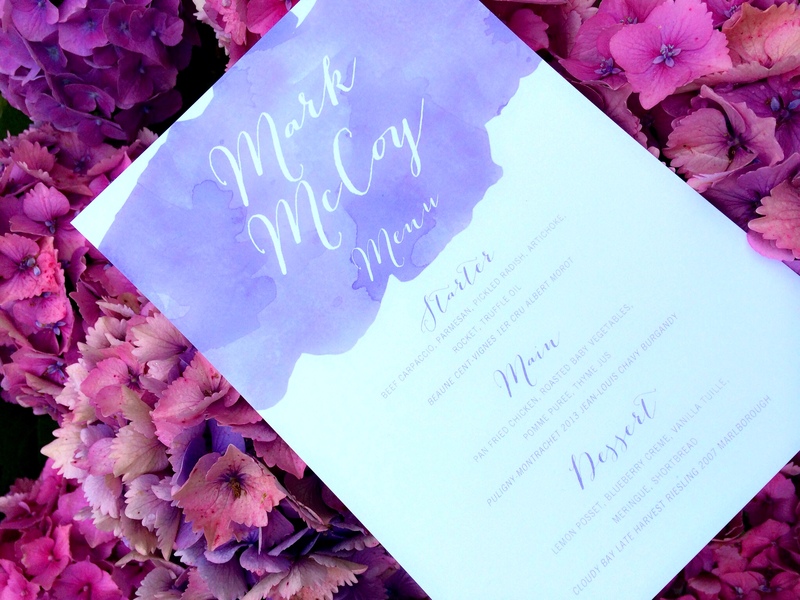 The lilac of the hydrangeas harmonised perfectly with the menus that doubled up as name cards. A soft and flowy font that reflected the twists and turns of the driftwood, sat on a water-coloured effect background to the name. A simple but stunning design by Printed Love, that captured the feel of the evening charmingly. The menu was a sumptuous affair and the starter a particular favourite of ours. All of the produce was seasonal and the menu designed to make the most of the ingredients at their peak, including heritage candy beets and micro rocket in the starter. Guests were served Champagne on arrival, with a few nibbles to whet the appetite. 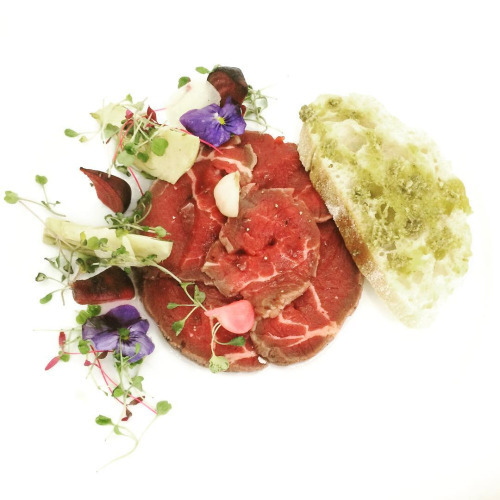 Upon seating, the first course was served; Beef carpaccio, parmesan, pickled radish, artichoke, rocket and truffle oil. 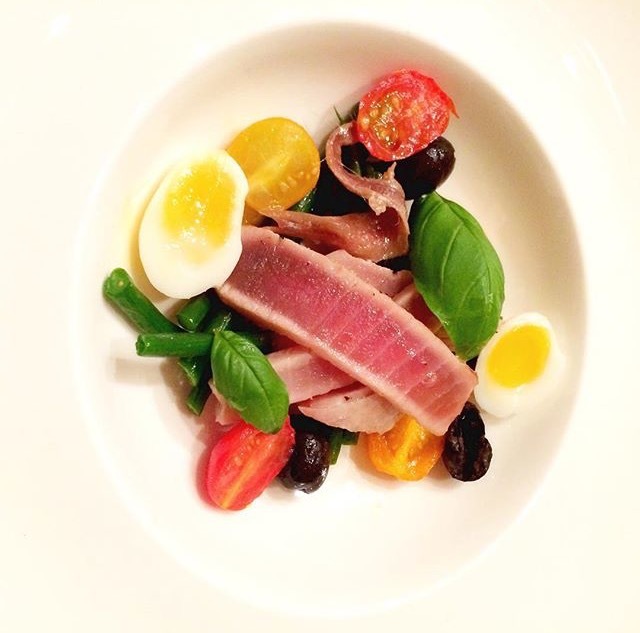 A beautiful dish to start, not only on the palette, but on the eye. Each dish was paired with a specially chosen wine. The accompaniment to the beef starter was a deliciously fruity and earthy red; Beaune Cent-Vignes 1er Cru Albert Morot. For the main we served Free-range breast of chicken, roasted glazed heritage carrots, swiss chard, girolle mushrooms, pomme puree and a thyme jus, served on earth stoneware. A popular dish, and one that was paired to a crisp and fresh white; Puligny-Montrachet 2013 Jean-Louis Chavy, Burgundy. 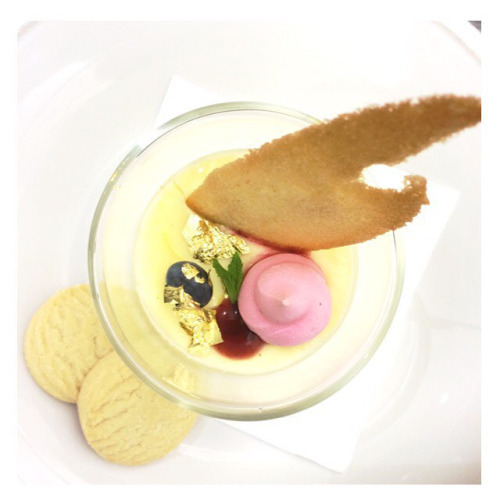 To finish the evening, guests were served a summery and fruity pudding of Lemon posset, blueberry crème, vanilla tuille, meringue and shortbread. 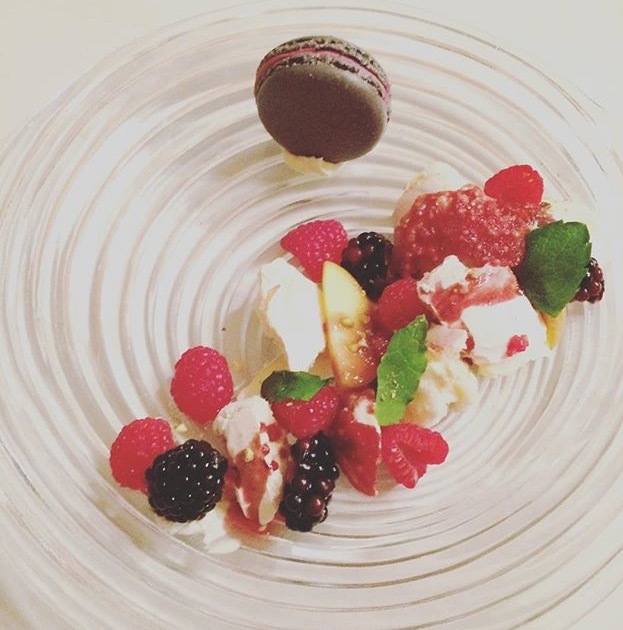 A wonderfully light and zingy dessert that certainly tickled the guests taste buds. The wine paired with our dessert was a Cloudy Bay Late Harvest Riesling 2007 from Marlborough. A stunning and velvety sticky with notes of apricot, honey and orange blossom that lingered on the tongue and enhanced the citrus and fruity flavours within the dessert. A glorious combination! All in all, another fabulous evening, enjoyed by the Westwood Society. We can’t wait for the next!